Janne Uskali , Chief Editor, Bomber Magazine and Worldwide Bomber Magazine (the latter all English and available online for free) and stunt bike rider, also runs a Finnish Outlaw Street series called Blacklist. 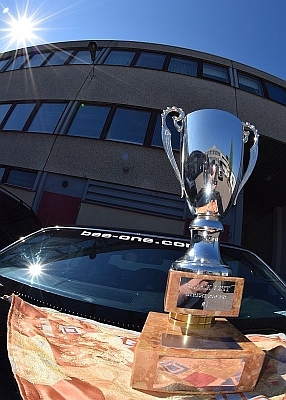 This competition is designed for street legal cars; organisers maintain a Blacklist of the top ten racers whose place can be challenged, once a racer wins a heads up elimination. 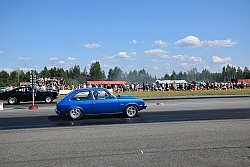 Eurodragster.com spoke to Janne about the series. Click on any picture for a large image. Eurodragster.com: How does the series work? with a blown small block. Janne Uskali: This has been the first year of running Blacklist and all Finnish doorslammer racers are crazy about it. 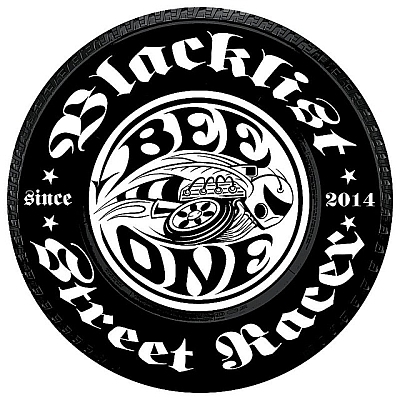 Blacklist Street Races have officially registered events. 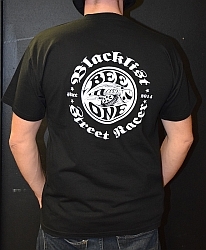 The main sponsor for the series is Bee-One Power Gear who make clothes for gear heads and also compile the Blacklist, a list of some fast Finnish street cars (real cars that can also be driven on the streets). There are ten places on it. Janne Uskali: The idea is to challenge and then defend your place on the top ten Blacklist. There are no restrictions on the cars, but in some races you have to go on the public roads with these cars and drive them through traffic too. So a car owner could have an issue from overheating or a problem with police… Otherwise there are no rules, your Blacklist car can be 632cid engine with nitrous or twin turbos, but the best thing is this: 90% of these races are on normal (i.e. slippery) asphalt, with no preparation or extra rubber. So if you have 1500 horsepower or more in your street car, it is really tricky to get it to the tarmac on those kind of strips. That way, we can get close racing, because even if a racer has only a 500 horsepower car, but with good suspension and reaction time, they can still win. Blacklist no.5 '70 Dodge Charger. 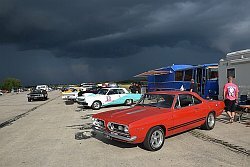 Eurodragster.com: What is the motivation for racers? Janne Uskali: In every race, there are racers who want to get on the famous top 10 Blacklist. These guys first race heads up and the winner of this competition can then can challenge Blacklist #10. 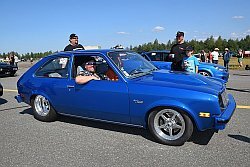 Eurodragster.com: How can racers rise up the list? Janne Uskali: After the heads up elimination, Blacklist guys will race for top 10 places, but to do that, they have to make an official challenge to Bee-One Power Gear people before raceday. So we know at the start of raceday who will challenge whom. When #6 challenge #5 and win this heads-up race he get #5 place and the loser drops to #6. If you have a problem with your car etc. you only have one time to pass up on a challenge, the second time you will lose your place to the challenger and if you can not take a part for a third challenge, you are automatically out of the Blacklist. Of course everyone tries to get the #1 position and get their name on that big trophy as #1. 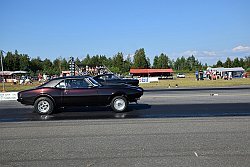 Eurodragster.com: What times are run and what do racers get apart from the trophy? 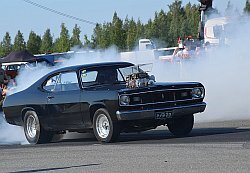 Janne Uskali: Blacklist guys don't need to know ET times, because they always race heads-up. Sometime races are just 1/8 mile and the starter is an old-skool pin up girl. So you see that the Blacklist idealogy is not so serious, but even so, racers are racers every time when they put helmet on. The best thing is that a Blacklist car can be a real American muscle big block blower car, or it can be a fast AWD Audi or anything between these. So there are no different classes or rules, just fast real street cars. 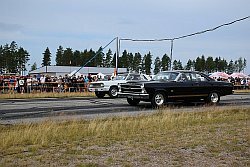 Eurodragster.com: On what sort of tracks do races take place? Janne Uskali: At the start, the idea of Blacklist was to organise races on closed public streets. 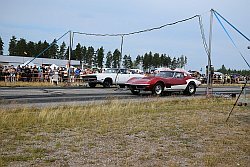 But when various organisers for airfield races asked the Blacklist people to run street car racing events at their venues, everything clicked. 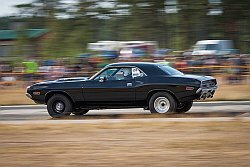 Many Blacklist drivers have done some Outlaw Street races, so they are not afraid to race on closed public streets, but where we can, we will offer to run Blacklist races at places where people can watch and cheer, with christmas tree lights and ambulances. At these airfield events we can allow challenges for the list without any scary events, police monitoring or a situation if someone flips out their car. T-shirt from Bomber web site. Eurodragster.com: What merchandise is available to buy? 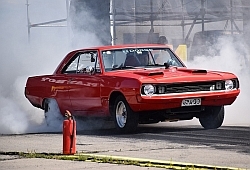 Eurodragster.com: What is the current Bee-One Power Gear Blacklist in October 2014? Janne Uskali is no.4 on the Blacklist. 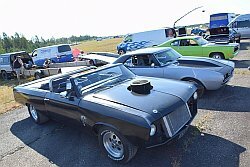 Eurodragster.com: Who do racers need to contact for more details? Janne Uskali: If there are people who are interested in taking part or in running a Blacklist-style race in their own country, please not hesitate to contact us by email: janne@dusters.fi. There is also a Facebook page. Eurodragster.com: Thanks for telling us about Blacklist, Janne, and best of luck with the series in 2015! 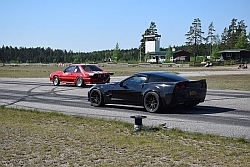 twin turbo Corvette and blown Mustang.